A look back on 150 years of Young's Jersey Dairy as they celebrate with several menu items priced at $1.50. Young’s Jersey Dairy, located at 6880 Springfield-Xenia Road in Yellow Springs is celebrating 150 years of operation. Today, Young's Dairy is one of the regions most popular local destinations, with two restaurants and a slew of family-oriented activities and events year-round. The farm was "born" in 1869 when the Young family was built the first red barn. Although the family lost the farm in the 1930's, Hap Young, the grandpa of one of the current owners, bought it back shortly after the end of World War II, and it has remained with the Young family ever since. In 1958 the Young’s began sales of Jersey milk to the public. It was a modest operation and ran on the honor system. Customers would drive up, open the refrigerator, get their gallon of milk, leave an empty jug and the money, and drive away. 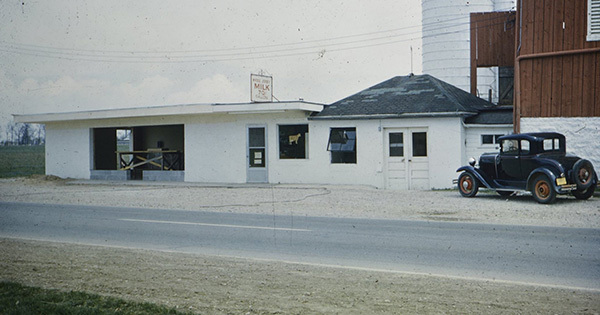 The milk sales were so successful that in 1960 they built their first dairy store. That’s where sales of their iconic ice-cream (Mmmmmmm) began. 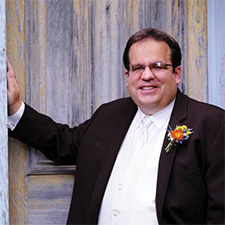 Young’s Dairy is currently operated by third-generation CEO Dan Young, also Chief Ice Cream Dipper. Of the many flavors of ice cream that Young has tested, chocolate fudge brownie is his favorite. More than just tasty food, Young's follows the businesses motto of stressing family entertainment. “It’s a fun place for folks to come and families are why we are here,” he said. The first of the restaurants, The Dairy Store was opened in 1968. It has since undergone a number of expansions, most recently in 1990 when the seating capacity was doubled. Beyond being the primary spot to get the homemade ice-cream, The Dairy Store also offers a full breakfast, sandwiches, and delicious cheese curds. For some country styled, home-cooking The Golden Jersey Inn opened in 1998. Its structure resembles the original red barn. All dinners come with a free sampling of applesauce, coleslaw and sweet potato bread as an appetizer. I normally order the buttermilk chicken, but there’s many tasty meals to choose from including pork chops, chicken dumplings, and beef & noodles. Either before or after enjoying some ice cream, no trip to Young’s Dairy is complete without visiting the animal barn. The main attraction is the goats, which are always anxiously awaiting to be fed by the patrons. At designated times during the day, the cows can be seen getting milked. Young’s Dairy provide a place where fun memories can be formed through entertainment. Their offerings include activities for all ages and interests to enjoy. There are two 18-hole miniature golf courses; Udders & Pudders was built in 1993 and due to its popularity a second course was added in 2000. For the more advanced golfers a driving range was added in 1995. Plus, batting cages with both softball and hardball pitching machines were built in 1996. For young children, Cowvin’s Kiddie Corral features little tractors that can be pedaled around a wooden track, a corn pit to play in, bounce house, and more. In 2008 a 30’ slide was also added for a bumpy ride. With so much to do, it’s no wonder that Young’s Dairy has been around for 150 years. For their loyal patronage, Young wanted to give something back to the customers. “We have customers who came when they were young and now bring their children and even grandchildren. We wanted to show our thanks and appreciation for 150 years,” said Young. At the Dairy Store cheeseburgers, kid’s meals, and one dip waffle cones will be $1.50. At the Golden Jersey Inn cheeseburgers and kid’s meals will also be $1.50. At both locations, fried farmstead cheese curds will be just $3.99. A game of miniature golf and a bucket of balls for the driving range will also be $1.50. A sampler package of four kinds of Young’s Farmstead cheeses will be available for $7.99. Free with any purchase of a sundae, ice cream cone, milkshake or deep fried breaded cheese curds is a souvenir Young’s 150th Anniversary 12 oz. milk bottle. “We’ll have some amazing meals and will be busy,” said Young. Working dairy farm with restaurant, bakery, miniature golf, driving range, and batting cage and gift shop. Located in Yellow Springs, OH Bring the kids along for a great family day out at Youngs Dairy! Check our website for current festivals and activities.